To feed the wire rod automatically in the machine without keeping man. This unit comprises of two tilting coil holders and an overhead steel column with an integrated rod snarl protection system. The coil holders are hydraulically operated and lower to the horizontal position for coil loading. The coil holders then pivot through 90º to a vertical position for payoff. 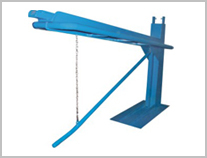 The vertical steel column within which is mounted a top pulley carriage and a bottom pulley carriage that is free to move vertically. The top carriage is moved down to its low position for threading up at floor level. For run position the carriage is moved and locked at the top. The bottom carriage is held in its lowest position by weights. In the event of a snarl the carriage is pulley upwards by the increase in wire tension and a limit sensor is activated thereby stopping the line. Motorized smooth uncoiling of wire in synchronization with the Wire drawing machine operation. Accurately machined & supported with thrust bearings for robust support. Wire cage with wear resistant replaceable liners. We offer wide array of S.R. Payoff, which are precisely designed and engineered with latest technologies. We ensure to deliver flawless range of products which are in compliance with the global standards. 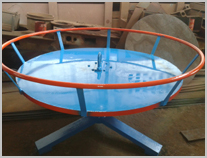 Our products are available in different shapes and dimensions and can be customized as per the requirement. S.R. Payoff machines are highly durable and authentic. Clients can avail this exclusive range in affordable rates. We are one of the leading manufacturers and exporters of various engineering machines and equipments including Bobbin Payoff machines, which are made by using superior quality components and latest technologies. These Payoff machines are highly durable and long lasting, which make them widely demanded and praised among the customers. We ensure the customers with standard quality machines that are resistive to adverse conditions. Our automatic pay off machines’ extensive range includes standard quality Bronzing payoff machines. These machineries are procured from our most trustworthy and authorized vendors in market. We are ensuring our esteemed customers by giving them easy to operate and dynamic functionality products. All these machines are made by superior quality components and effective material. 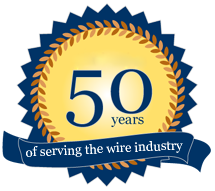 We supply a wide range of turn table payoff for wire coils from 25kg to 2500kg. Coils weights which are offered in powered and non-powered forms. The units are available for different drum diameter and loading capacities as well as adjustable friction brakes. We also undertake the designing and construction of custom payoffs.